This is the narrative of one of the awareness campaign videos about Zéro Mika (plastic bag, in Moroccan Arabic dialect) made by the Moroccan Coalition for Climate Justice (MCCJ) that circulated the country a little over a year and a half ago. 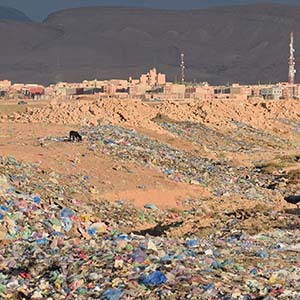 Previously considered one of the largest consumers of plastic bags on the continent, Morocco was estimated to use three billion of them annually. With a population of 34 million, that’s an average of roughly 88 bags a citizen. And along with their various harmful effects on the environment and estimated lifespan of up to 1,000 years, the Zéro Mika video doesn’t seem quite as surreal. To eliminate them, he North African kingdom established Law 77-15, effective July 1, 2016. With the exclusion of industrial, agricultural, freezer and isothermal bags and those for waste collection, the law prohibits the manufacturing, import, export, commercializing and use of plastic bags. Different but surprisingly tough fine structures exist for each offence, ranging from 20,000 dirhams (C$2,700) all the way up to 1,000,000 dirhams ($135,000), along with the potential for prison time. This is not Morocco’s first attempt at curtailing the issue. Although not a total ban at the time, in 2010 the government introduced a law that prohibited non-degradable and non-biodegradable plastic bags. More than 40 countries across the world have now either banned, taxed or moved to restrict plastic bag use, including Rwanda and most recently Kenya. But not all countries have been as successful at implementation. And Africa has been struggling with the litter for years. In Rwanda, a zero-tolerance enforcement regime has been in place since 2008. It imposes harsh penalties for smugglers and any businesses found by inspectors to be breaking the law, combined with strict border controls and networks of informers. Yet across the border in the Congo, there’s little evidence of any reduction in plastic bags – the country is in fact one of the biggest sources of smuggled plastic bags into Rwanda, according to recent news reports. Morocco has embraced a middle path, combining some enforcement measures with financial support for businesses as they transition, as well as supporting public education campaigns to gain long-term support for the measure. It also didn’t widen the scope of the ban as far as Rwanda did, which targets other forms of plastic waste beyond consumer hand-held bags. Part of the government messaging is built around Morocco’s reputation for supporting sustainable development, including a gradual shift towards renewable electricity sources and a raft of other eco-friendly policies. MCCJ, comprising almost 150 Moroccan organizations, networks and unions, launched the large-scale Zéro Mika media campaign a few weeks before the law was implemented for this very reason. Its aim: to raise awareness of the impact of plastic bags and to mobilize their collection as a companion initiative to the nationwide ban. And the results of both, at first glance, are noticeable. Plastic trash gathering along a hillside in rural Morocco in March 2016, months before the countrywide plastic bag ban came into effect. Walking through the streets of Morocco these days, something does seem different – visibly different. Whether at the suburbs of the capital Rabat, the narrow streets of the Fez medina, the avenues of the financial district in Casablanca or the neighbourhoods of Marrakech’s New Town, plastic bags are missing. The plastic bag, seemingly a fixture in this North African country’s collective cultural unconscious and landscape for decades, appears to have finally disappeared. The law seems to be completely enforced in large cities, public spaces, malls and supermarket chains, like Carrefour and Marjane, where only fabric bags are available. National news reports, however, circulate about the existence of a black market. Within the first year, according to the Ministry of Interior, more than 421 tonnes of plastic bags, 70 manufacturing machines and 16 vehicles had been seized across the country, and 55 people implicated in this informal sector had been arrested. More recently, according to H24Info, last August, in the province of Berrechid, Casablanca, the Royal Gendarmerie dismantled an illegal unit and seized its production machinery and almost 20 tonnes of plastic bags. A couple of months later, in October, in the Nouaceur province of the same city, they seized two tonnes and 500 kilograms of plastic bags, broke up the illegal unit manufacturing them and arrested two people involved. Clandestine production and distribution is active. According to Zegzouti, whenever you prohibit something in any sector a black market naturally emerges – often populated with desperate unemployed youth. For example, he explains, “In Casablanca, some industrialists voluntarily lowered their prices before the law came into effect to sell their stocks.” The majority of the remaining plastic bags, he goes on, come from previous stocks held, from small informal production units in the country and illegal imports from Spain. Said, a salesclerk at a convenience store in Hay Ryad, a predominantly upper middle-class neighbourhood in Rabat, says he and the owner don’t use plastic bags anymore. “They’re banned. Plastic bags litter the environment,” he explains, as his employer, Mohammed, keeps an ear to the conversation. “There are customers that accept it and there are customers that don’t accept it. We can’t control that,” he continues. Shop vendors in more popular neighbourhoods, however, are generally wary about discussing whether or not they still use plastic bags. Many refuse, assuming being questioned is part of an underground governmental search. Inadvertently, it is the small shop vendors who feel the higher costs most. Prioritizing ecologically beneficial initiatives, like the plastic bag ban, is also an element that isn’t easy for struggling working-class vendors to accept. “There are many other things that should be taken care of before focusing on the mika,” Mbarek adds. Although measuring the complete success of the ban so far is tricky and layered, governmental efforts are clear and recognized. “There is a success at the level of the will of the government and the local authorities to apply the law. 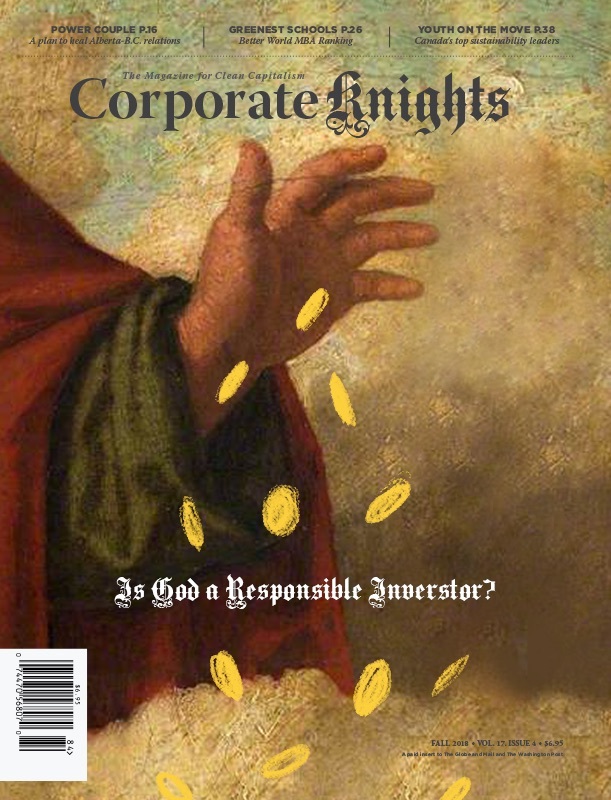 At the beginning we thought maybe it was just marketing for the global climate change conference (COP22) in November 2016 but on the contrary, they hired agents and mobilized funds. There has been a real effort to be considered,” Zegzouti affirms. Nonetheless, he concedes that awareness efforts – on how the ban of plastic bags is helping the country and its people move forward into a more sustainable future – are still very much necessary.